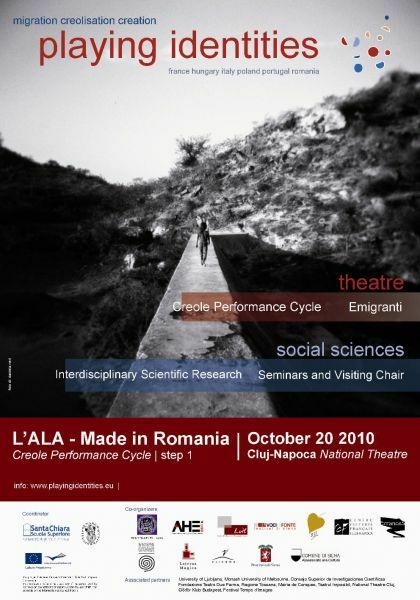 Here the next dates of the show at National Theatre of Cluj-Napoca. By this artistic process we plan to establish a dialogue with reality, reflecting on our condition as workers. From the standpoint of art workers, we are trying to understand what is going on now, here, in Romania. We will perform an action in order to show shortly what we can realise about it, playing ironically around our awareness, our feelings, our efforts, and our tragedy. See also the performance page on di Balletto Civile website. madeinromania/LALAstep1 from ballettocivile on Vimeo. The Centre culturel français in Cluj has been established by French Embassy in Romania in 1991. It is part of an exceptional network composed by 209 French Centres and Cultural Institutes spread in 130 countries. Deeply rooted in Cluj cultural landscape, the Centre carries out a wide range of activities in the cultural and educational fields. Some of its main purposes are to promote innovation in the cultural field and disseminate artistic products, bridging the local cultural environment with the wider European and French space of artistic creation. The participation of the centre to the project “Playing Identities” is in continuation of its activities of support to theatrical work and creation, and shows its commitment to the diffusion of an open culture based on diversity and cultural encounter.